"In his tenth year at Penn State, the efforts of, Coach John Thomas have made a large impact in the squad's overall strength and conditioning habits." "His strenuous regimen throughout the year is most evident during "winning time," as the Lions' conditioning has helped them secure or win many games in the fourth quarter during his tenure. His efforts were recognized with his selection as the 1997 National Collegiate Strength and Conditioning Coach-of-the-Year." "He spent two seasons at the U.S. Military Academy, the second as the head of the strength and conditioning program in 1990-91. A Muskingum College graduate, he started at defensive tackle for two years and at offensive guard for two seasons and was an All-Ohio Valley Athletic Conference first-team pick and a second-team Division II All-American. Our mystery guest spent two years as a graduate assistant football and strength coach at Toledo. 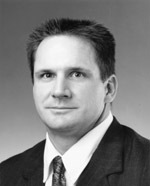 At the University of the South (1986-89), he coached football and served as a strength coach in football and baseball." **Note** Much of this bio was taken from Penn State Football. We have recently received comments and questions from wrestling coaches. We really, really like wrestling as a winter sport alternative for high school athletes. Here is a sport that rewards training, effort, courage, and skill... on a mat... by yourself... in front of your Mom. You either win or lose... it's not the coach's or teammate's fault if you get pinned. Training is often grueling and self-motivated. Wrestlers have a concept of nutrition and fitness unequaled in other high school athletes. Thanks to the coaches and athletes who wrote us this week seeking additional training ideas. Interesting web site. You guys seem to really dislike Olympic lifts. Actually we do not dislike Olympic Lifts. We think it is a great sport. We simply believe the quick movements do not transfer to sport specific skills outside of Olympic Lifting. Also, we do not feel that performing them is safe and it is not efficient in terms of time the athlete should spend in the weight room. It takes a long time for athletes to master these lifts and they would be better off practicing their wrestling skills in your case. -S.A. I have some comments and questions concerning strength training for wrestling. First off, i think the hang clean and the power clean are actually beneficial for wrestlers. You talk a lot about specificity, but I think nothing is "exactly" like doing a given movement in any sport short of doing said movement. but i would say that a hang clean is about 99% similar to finishing a double leg takedown. and a power clean is virtually identical to a greco or freestytle lift from par terre. In regards to the power clean being 99% like a double-leg, we respectfully disagree. (We were in the hall talking about this concept going through the motions of both... as others walked by we caught a few funny looks!) The two movements may seem the same as they generate force from the ground up but the concept of, essentially, tackling your opponent is not the same as raising a straight bar along a vertical plain, let alone throwing it over your head. -S.A. I'm trying to find the most effective weight training program for wrestling. Our advice to strength training for the intermediate to advanced athlete would be to split your body into a push day and a pull day. For example: Squat, Bench, Shoulder Pr., Dips etc... on day 1 and Deadlift, Row, Pulldown, etc... on day 2. Your workout should not include more that 8 exercises in any one training session. Rotate these 2 days around Mon-Wed-Fri. Mon-push, Wed.-pull, Fri.-push, Mon.-pull etc... You should perform one working set per exercise after a warmup on the initial compound exercises. The repetition range that we recommend would be 6-10 for upper body exercises and 8-15 for lower body exercises. This can vary depending on your predominant muscle fiber type. Each set should be an absolute ALL-OUT-EFFORT reaching momentary muscular failure. We recommend 90 second rest time between sets. This rest time can be reduced gradually if you prefer to get the cardiovascular benefit as well. Your training session should last between 20-30 minutes. Train with a high amount of intensity and you should be physically exhausted. If progress does not occur in this program or when progress slows, we recommend training in the split you had outlined. Mon.-Chest/Shoulders/Tris, Wed.-Legs, Fri.-Back/Bis. Then progress should continue. The 3rd program we recommend after the 1st two is to split the body into push and pull days again training only twice per week. Ex. Mon.-Push exercises, Thurs.-Pull exercises. Progression should be tracked recording the weight lifted and reps completed. Your goal should be to increase the reps or weight every single workout on each exercises. We believe the problem with running and plyometrics will create overtraining. Plyometrics between sets will cause you to not trigger muscle growth to the maximum. Do not worry about 1 rep max, just worry about your progression in weight and/or reps. Recovery time is crucial in strength training. During the off-season. If you choose one of the first two programs training 3 days per week then we do not recommend any other activity other than strength training. Work on the mat once in awhile will not hurt. If you choose to do a lot of other activities other than strength training, then you should do the 2 day per week program then once a week on the mat is fine. If you choose to do 2 days of mat work then we advise you to train a little less frequently, skipping a day of strength training once in-while will be very beneficial. Make progression the determiner of whether you need an additional day of rest. That goes for all strength training programs. Remember, if strength gains is the primary goal then you should have more complete rest days then training days whether it be in the weight room or on the mat. The more mat work and other activities you do in the off-season while strength training, the more chances that you will get in an overtrained state. Overtraining is the single most factor that slows the strength and growth process in athletes. Avoid it at all costs. The recovery days are very necessary and this means that running on Sundays or other non-training days will tap into your recovery time. Most coaches will disagree with this, (but please stay with us for the sake of the argument), but the best thing you should do is practice your skills on the mat to get in shape in-season and reduce rest time between sets in the off-season and your stamina will improve. Now if you choose to do some sort of running, for endurance purposes, we recommend running 10-30 yard sprints reducing rest time between sprints. The time in between can start at 30 seconds and be reduced to 5 seconds through the workout. This will involve the Type II b fast twitch muscle fiber which is the type that involves explosiveness. This will help with stamina and general conditioning. This can be done infrequently in the off-season and done a little more frequently in-season. Distance running and plyometrics, we do not feel are a necessary part of a wrestling program. We do recommend that your strength training frequency be reduced in-season as you do more work on the mat. Train once per week with a full body routine in-season. Athletes can still make gains doing this but it will not be a great as in the off-season. This probably seems like a whole lot of inactivity to you. But the increased strength is of primary importance in the off-season. This added strength will increase your power as well as explosiveness in you sport specific wrestling skills. However, it must be said that if one desires to become a better wrestler one must, above all else, practice wrestling. We hope this helps in some way and hope we addressed your questions as requested. If you have any further concerns or questions please feel free to e-mail us back and we can continue our conversation.